April Fools’ Day is a time for laughter, light-hearted pranks, and giant corporations letting their social media teams do pretty much whatever they want. And, while not every April Fools’ Day “prank” is a hit, there are some companies in the tech world that definitely had some fun to kick off the new month. Let’s take a look at the five greatest examples. Pokemon Go opted for a nostalgically fun April Fools’ stunt by giving their cuddly marketable creatures a pixely makeover, making the experience more similar to its retro roots. Interestingly, this isn’t the first time that Pokemon Go has been associated with April Fools’ Day, as the app was technically announced on the holiday. And now you have a fun fact to impress all your friends with. You’re welcome. The entry on the list I’m most disappointed is a hoax, Tech21 teased a smartphone case composed entirely out of chocolate. The FlexChoc was unveiled as a delicious new way to keep your phone safe. However, it is unfortunately not real. Wait, aren’t most smartphones known to be dirtier than a toilet seat? Nevermind. Google Maps had another impressive April Fools’ offering, as the app combined their useful navigation tools with a full-on “Where’s Waldo?” game. This is hardly the first time that Google Maps has made basic navigation fun, as they have previously reworked their app to emulate Ms. Pac-Man and even added some Mario Kart flair. Come to think of it, why are we looking for Waldo in the first place? What did he do? What does he know? Just when you thought ThinkGeek only offers useless novelty items like Harry Potter spa sets or Tauntaun sleeping bags, they came through on April Fools’ Day to showcase the extremely intuitive (albeit not real) Jurassic World Dinosaur Detection System. 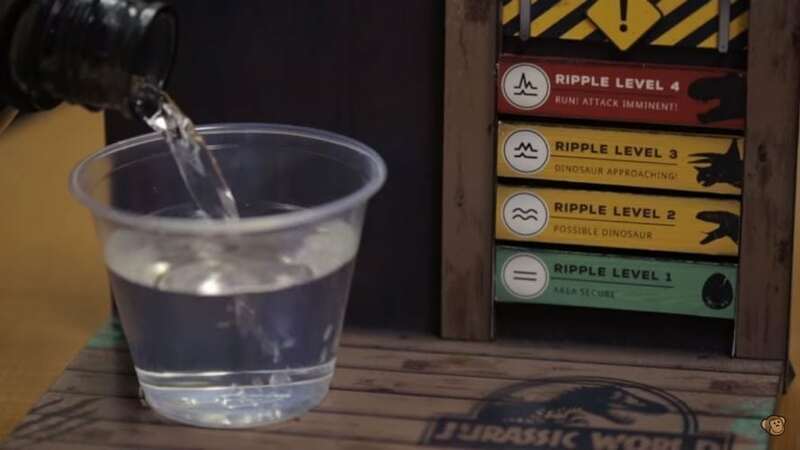 Complete with different water ripple levels to warn you of any danger, the Dinosaur Detection System legitimately seems like something I would want. Y’know, just in case. While most of this list can hardly be considered pranks, Snapchat got into full Mean Girls mode this April Fools with a hilarious jab at rival social network Facebook. The app added a new filter that mimics the Facebook app, but with all text written in Russian, referencing Facebook’s recent woes. When it comes down to it, billion dollar companies can be just as petty as us human beings. Previous article InnoTech Opinion: Why Are We Nostalgic For Old Tech?